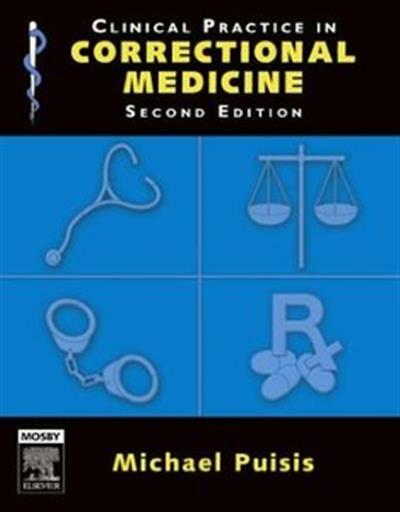 Clinical Practice in Correctional Medicine (2nd edition) | Free eBooks Download - EBOOKEE! Posted on 2014-04-29, by tactools. Michael Puisis DO SC, "Clinical Practice in Correctional Medicine (2nd edition)"
Written and edited by 40 practitioners in prison systems and public health from all over the USA, this critically acclaimed text comprehensively covers the medical issues specific to the correctional setting-essential, practical information not available in other books. It explores all major areas of correctional medicine, from intake to hospice care-including clinical management of diseases common among the incarcerated, ethical concerns, organization of health services delivery, patient-provider relations, legal issues, and more. The 2nd Edition delivers completely new sections on nursing and emergency services in the correctional setting, as well as new chapters on hepatitis C, geriatric care, end-of-life care, telemedicine, and other timely subjects. No comments for "Clinical Practice in Correctional Medicine (2nd edition)".